I mentioned in my previous blog post that Jessica had been drawing pictures for nursery based on characters from children's literature in the run up to World Book Day so I thought I'd share a couple of them on here. 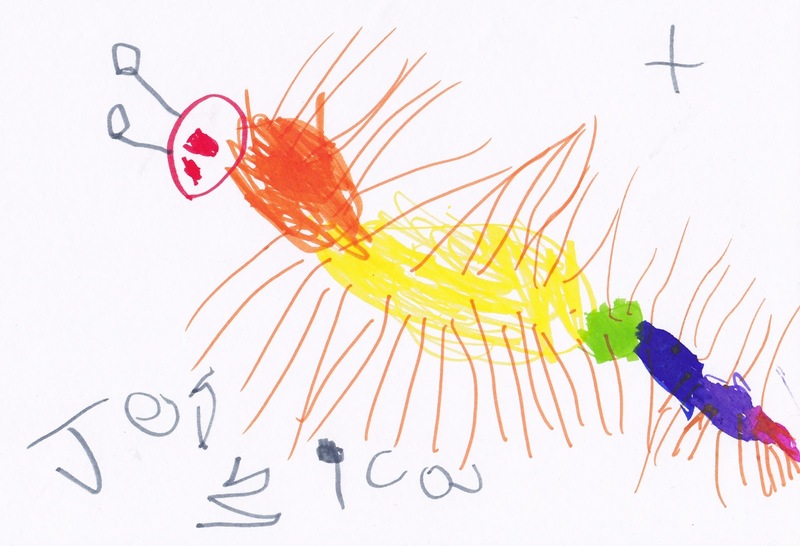 We've been reading chapter books for a while now. It seemed a good idea when we were off on our holidays at some point and didn't want to have to carry lots of bedtime reading. Our journey into longer children's stories began with Jill Tomlinson and her wonderful animal stories like The Owl who was Afraid of the Dark and The Cat who Wanted to Go Home alongside some of the short Roald Dahl books like The Magic Finger and The Giraffe, the Pelly and Me. 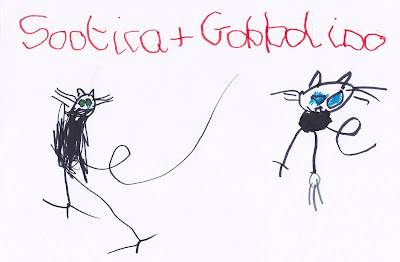 We've also read the first book in The Worst Witch series but have very recently turned to one of my old favourites Gobbolino the Witch's Cat. Although written in the 1940's it is right up Jessica's street. A black kitten with one white paw and bright blue eyes who can do magic, what's not to love?! 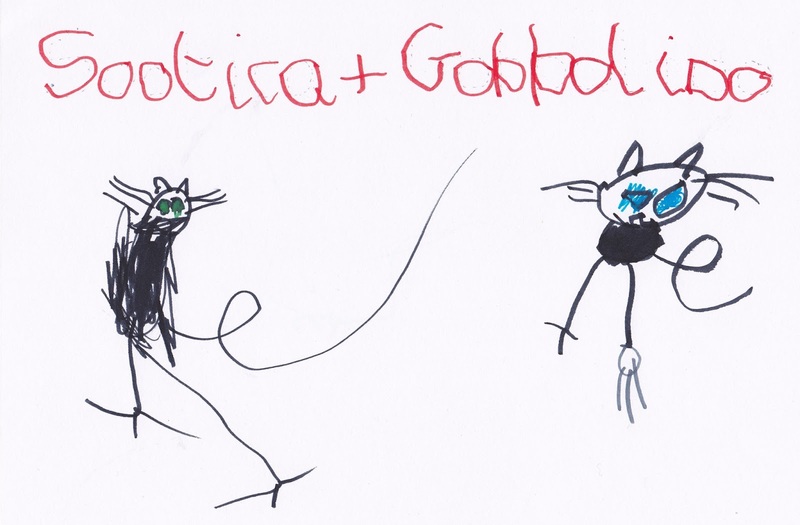 It captured Jessica's imagination in an instant and she wanted to draw Gobbolino and his sister Sootica after just one chapter. Here they are, complete with that one white paw!